A whimsical piece with naturalistic Art Nouveau design is crafted in signature Van Kempen style. 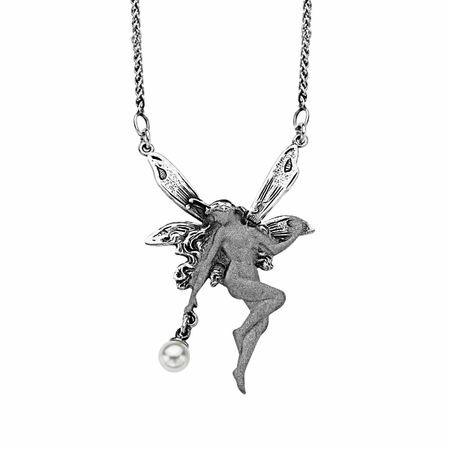 Fairy necklace is embellished with a simulated shell pearl drop in a setting of sterling silver with a frosted finish. Piece measures 1 5/8 by 1 1/16 inches with a total length of 16 1/2 inches.